Unknowingly or otherwise, it would seem that Firaxis has included a surprisingly horny tune in Civilization VI. One of the songs that makes up Hungary’s theme in the 4X game’s soundtrack is a commonly-known folk duet, but it turns out that some of its meaning might have been lost in translation. The tune in question is ‘Hej Dunáról fúj a szél’, which is woven into the civ’s in-game theme in much the same way as with many other civilizations throughout the game (Rich informs me that England’s, for example, is a remix of English folk song ‘Scarborough Fair’). While the main theme of the song focuses on the cold wind blowing down the Danube river, things quickly take a turn for the lewd. Civilization VI’s version of the tune doesn’t include lyrics, but in its full version, the song features a woman’s voice asking “Hej Jancsika, Jancsika, mért nem nőttél nagyobbra?” Loosely translated, that comes out as “Hey Johnny, Johnny, why haven’t you grown bigger?” And things only get less subtle from there. Continuing my research, I checked in with my Hungarian friend from university (we all have them, right? ), Balint. He confirmed that it’s a pretty common song, but also pointed out that as the song progresses, Johnny’s female companion says “she won’t lie down next to him,” due to his diminutive anatomy. I’d point out that plenty of medieval folk songs are a little racy, so it’s not hugely surprising that one might have slipped through Firaxis’ net. There are also references to the fact that Johnny could have been a soldier if he’d grown bigger – that could be another tongue-in-cheek lyric, but to me it does also make it sound like little Johnny died before he could fight for his country. 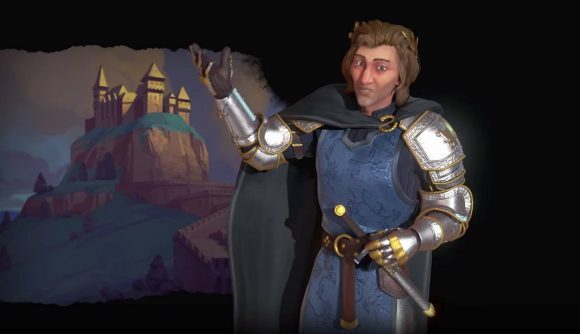 We’ve reached out to Firaxis to see if they knew about the Hungarian theme’s hidden meaning, and we’ll update this story if we hear back. Meanwhile, Civilization’s Gathering Storm expansion is nearly here – you can check out Rich’s Gathering Storm preview, or take a look at his guide on Gathering Storm’s new civs, which should help you get off to a good start once the new update arrives whether you’re more partial to the Inca or the Ottomans.